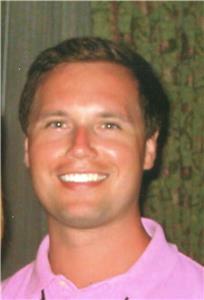 William “Tripp” Donald Polen III, 36, of Charlotte, NC, died on Saturday, March 11, 2017. He was a vice president at The Bank of America in Charlotte, where he has been employed for many years. Tripp graduated from McCallie School in 1999 and was a Park Scholar at North Carolina State University, where he graduated in 2003 with a degree in business. Tripp was a bright light in the lives of everyone who knew him. He loved his family fiercely and was a loyal friend. His sense of humor was unmatched and his blinding smile will be intensely missed by so many. His most proud accomplishment in his life was his daughter, Sophie who he loved more than life itself. He was preceded in death by his father, Don Polen, and his sister, Julie Katherine Polen. He is survived by his daughter, Sophie Polen; mother, Beverly Polen; sister, Amy Polen Stallings, M.D., and her husband, Seth Stallings of Cary, NC; brothers, Adam Polen, Andrew Polen and Brad Jones (Hillary); nephews, Luke and Reed Stallings. He was loved by many cousins, aunts and uncles who were very special to him. The family will receive friends on Friday, March 17, from 4-6 p.m. at the North Chapel of Chattanooga Funeral Home, Crematory and Florist, 5401 Highway 153, Hixson, Tn. There will be a private burial on Saturday morning. Friends are invited to celebrate Tripp’s life at a memorial service on Saturday, March 18, at 1 p.m. at the McCallie School Chapel, 500 Dodds Ave., Chattanooga. Please share your thoughts and memories of Tripp at www.mem.com.